Zulu is a an outboard signal processor that emulates the effect of sending an audio signal to tape. Once I received mine, folks began asking me if I could tell them a bit about it. I wanted to live with it for a little while before responding, but now I’ve lived with it, so I’m responding. I think this is going to be a polarizing device. 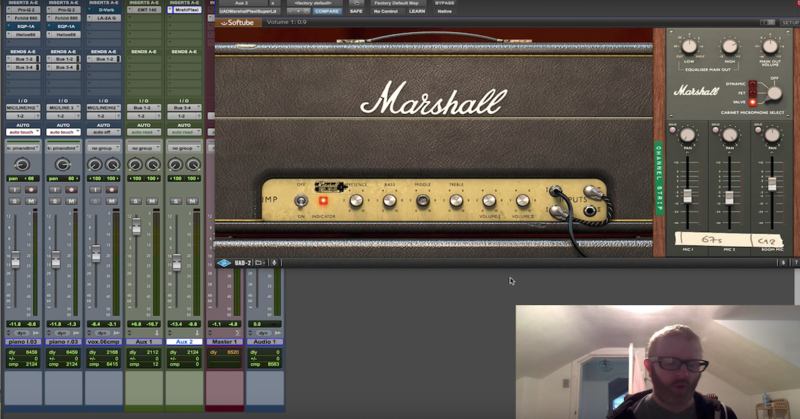 We mixers and recordists live in a plugin world. We’re used to throwing a plugin on a channel and getting immediate results. 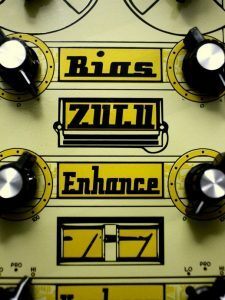 Zulu is designed to sound like a tape machine, but it’s also designed to act like a tape machine. It doesn’t react in a straightforward linear way – in fact the whole point is that it’s not supposed to. Zulu is as much affected by what’s being fed into it as it is by how the knobs are turned. Before even talking about the settings, it’s important to realize there are a number of different ways in which Zulu can be put into a signal path. It can be set up as a tracking device as the last processor before conversion. It can be set up in a pure loop around as a mix tool (D/A > Zulu > A/D). It can also be set up like a summing device going D/A > Zulu > DI, or even D/A > Zulu > Mic Pre, with the latter being a very distinct but very cool sound. Using amplification on the back end of Zulu changes the total impedance of the system and allows for Zulu to get much brighter and heavier-handed. What’s interesting, and possibly a point of confusion, is that Zulu changes a bit depending on what’s in line before and after it. Even in a simple loop around, Zulu seems to really adopt the tonality of whatever is feeding it. If I put my Tube Tech EQs in before hitting Zulu I get this remarkably shiny sound, whereas if I feed signal from my Filtek EQs, I get this distinctly grainy effect. Zulu is also level dependent. Concepts like gain staging and impedance bridging are usually second nature to people who are used to the analog world, but can kind of trip up folks who are rooted in software processing. Because Zulu is completely passive, it’s expected that there will be a loss of signal level going through it. This can be easily made up (even back in the box) using a utility plugin or volume fader, but might take the uninitiated by surprise. Basically: it kind of thinks like an actual tape machine, so you need to be wary of your levels to get what you want. All of the controls affect one another so it’s important to get the order of operations correct. The first control is actually located just above the XLR connectors. It’s a switch labeled Calibration. There are four settings and each one essentially acts like a pseudo tape formula. This will change the initial frequency response, harmonic order, and the compression curve. While the switch gets progressively more “lo-fi” as you move from HX to TK, it’s only because the tone curve is getting darker and the compression curve seems to be a bit edgier. In terms of overall fidelity, a lot of this can change down the line depending on how the rest of Zulu is set. Next in line is the Deck setting. This setting is a bit more akin to a fidelity setting. It largely impacts the saturation curve and seems to do something with the overall texture of the sound which I find a bit hard to exactly put into words. The HI setting is akin to what you would expect from a very high-end deck like a Studer. The fingerprint is very subtle. This makes it a good choice for the mix bus, or a good choice if you’re tracking a full production through multiple Zulus. It’s really only obvious when a lot of sources are being effected. The PRO setting is more like an Otari type of deck where the fingerprint is a bit more distinct and the total headroom of the system is a touch lower. The LO setting is most akin to running a cassette reel. You get a very obvious saturation and reduced headroom. That said, you also get none of the hiss you expect from cassette so you can do some very cool stuff (setting the Deck and Headroom as low as possible and turning the Bias all the way up is awesome for a throwback Hip-Hop sound). Next up is the Bias setting. It’s a bit difficult to describe what the Bias control does because it does a few things at once. First it kind of acts like a tilt shelf EQ, where if you go in the “+” direction, you start getting more high end and less bass. If you go in the “-” direction, you get more bass and less high end. But it also changes the compression curve of the system in a very nonlinear way. As you under-bias (go toward the “-“) the top end is not only reduced, but softened, as if there is compression rounding it out. At the same time the low end seems to “bloom” like the sound of automatic makeup gain. 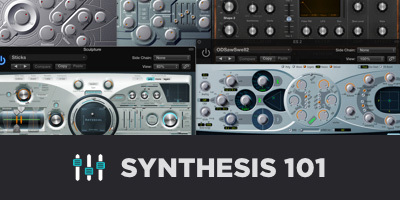 Setting the bias higher tends to give you a more open and natural sound. Ultimately it’s this “Bias” function that makes me like EQ into Zulu. I can get really interesting textures by messing with the Bias and EQ in conjunction. The Enhance knob is kind of like a parallel harmonics effect. Whatever tonal saturation effects are created along the path are enhanced. There does seem to be a slight lean towards brighter harmonics, so this Enhance control can be used to restore top end that’s lost along the way. Personally I prefer setting the Enhance knob for the textural quality and perceived dynamic change that occurs, and usually opt to restore top end with an EQ. However, part of the fun of Zulu is having all of these different sonic options and getting to pick and choose to your own aesthetic. The last control on Zulu is the Headroom control. This is probably the easiest to “get your head around”, PUN INTENDED, but it simply changes the total headroom over the system. In other words, if you set it low the sound crunches up, if you set it high it’s very open and transparent. What’s better really just depends on the application. For drums, I like crunch. For running a whole mix through it, I generally prefer to keep it open … although, sometimes it’s nice to get a little grungy even on the mix bus. All of these processes are working through bypassable circuits. So in addition to all of that, there’s also the option to entirely remove an effect, making the array of possibilities pretty remarkable. The double-edged sword is this: on the one hand you have tons of versatility and the ability to really customize your own sound. On the other hand, while it’s very simple to get going, it can be a bit daunting to get used to. It’s not a tape emulation plugin. You don’t put it in insert and turn a couple EQ and saturation knobs to get a pseudo tape-like sound. It’s real components that require some time and setup to really make it sing. But: It is totally worth it.